Kids menu items are limited to children ten and under only please. On our Kids Nights for .99¢, each child is given one kids meal item. 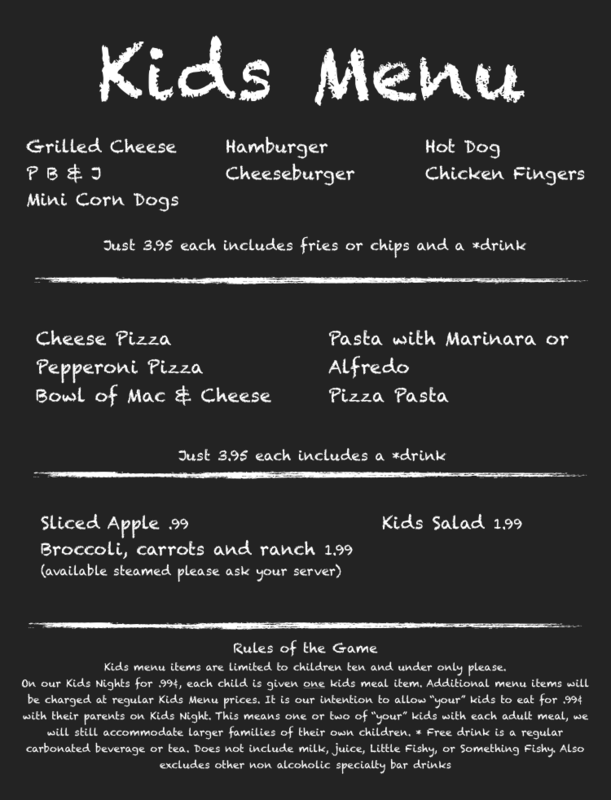 Additional menu items will be charged at regular Kids Menu prices. It is our intention to allow “your” kids to eat for .99¢ with their parents on Kids Night. This means one or two of “your” kids with each adult meal, we will still accommodate larger families of their own children.